(Left): Christy Ray and Manager Lonna Loveless played a key role in raising funds for "Autism Speaks." (Above): Car display at the restaurant for many days was headed by Flavy Buster, seated on the left. May 5 -- The Farmington White Castle restaurant has been notified that it ranked number one in the nation compared to all other locations with that franchise in the amount of donations obtained in the chain's 5-week campaign to raise money to help find a cure for autism. 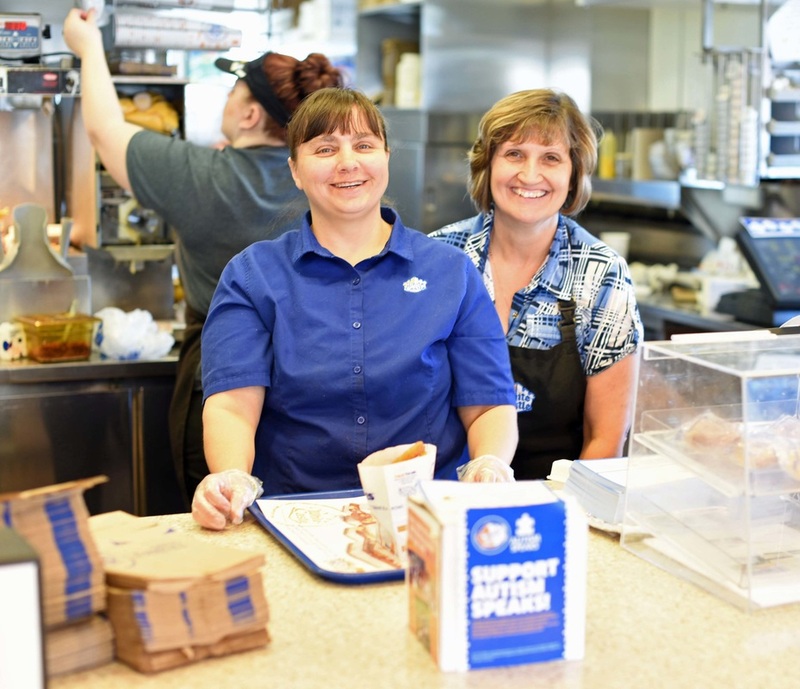 The Maple Valley location, as with all the others in the nation during the White Castle "Autism Speaks" campaign, displayed posters in their stores urging patrons to make donations to help finance research to find a cure for this terrible disease. 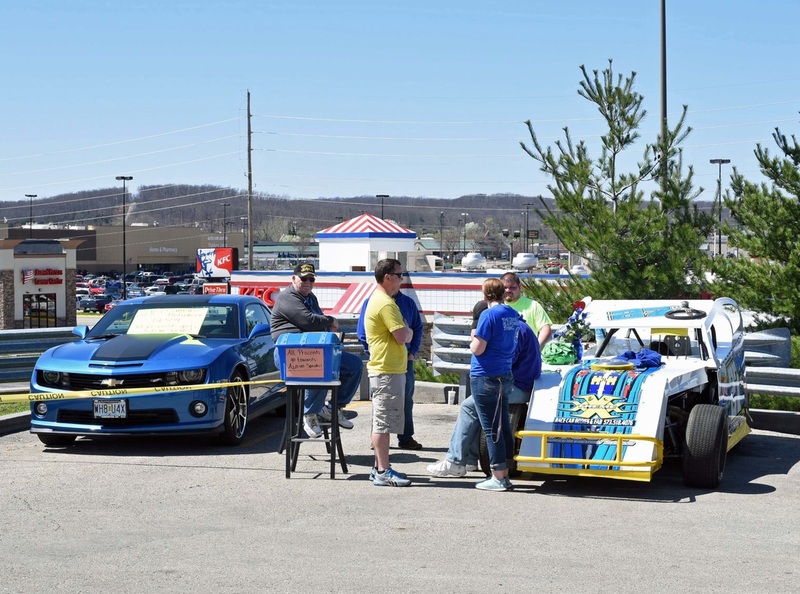 But at the Farmington location, a group of volunteers, led by Flavy Buster, also set up an outdoor display that featured a rare 2013 Camaro "Hotwheel" car (one of only 559 manufactured) plus another fast competition racing car to attract viewers who were also told about the importance of the "Autism Speaks" campaign. For more information about the disease, visit www.autismspeaks.org.